Microsoft has already made it clear that they want Xbox 360 to be the home of the Call of Duty series. They’ve purchased rights to be the first console to carry all of the Call of Duty DLC until 2012. Secondly, they have just recently announced a number of limited edition Xbox 360 accessories inspired by Modern Warfare 3. The announcement comes straight out of the Call of Duty XP event in Los Angeles. 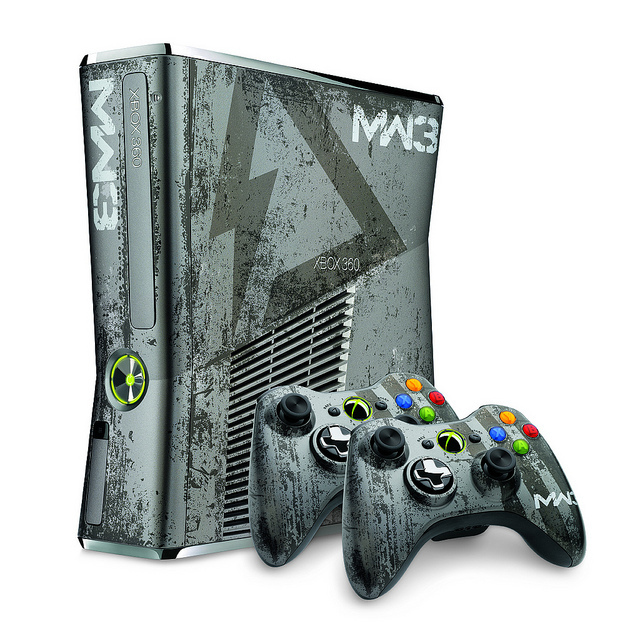 A limited edition Xbox 360 MW3 bundle, a MW3 custom painted controller, and a wireless bluetooth headset were all revealed. I personally don’t have any need for these items but a huge Modern Warfare fan might be willing to throw a few hundred dollars for these items. The word is these accessories really will be limited so you might want to reserve it now. Personally, I much rather cough up money to get the Limited Edition Star Wars Xbox 360 bundle. Let me know what you think of these items, are they worth it?